Everything you need to deliver great mobile apps. we not only develop mobile apps, but also ensure cost effective solutions that help in maximizing your return on investment. 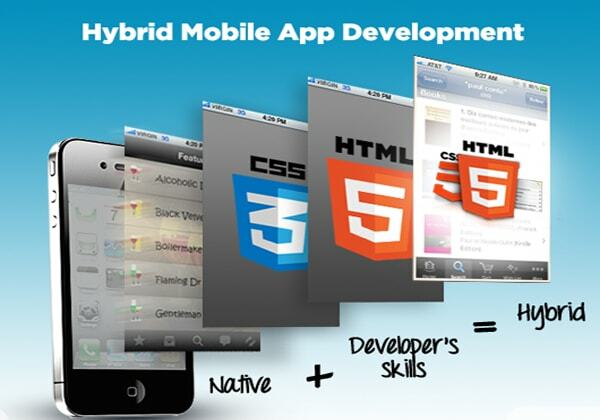 We ensure that our work processes deliver high quality mobile apps as per your requirements. HeroSolution's experienced designers are here to create intuitive and compelling experience through distinctively beautiful Windows Mobile Applications. We have a team of experienced mobile application developers with hands on experience in delivering applications solutions based on Application SDK and other mobile technologies. We are a Microsoft Certified Gold Partner, Microsoft Small Business Specialist and mobile application development firm based employ effective approach towards quality testing in accordance to international standards. As a business unit engaged in mobile apps development, we follow an innovative approach to design & develop the apps as per the specific requirement of our valuable & esteemed clients. Our focus is on constructing the finest possible interface that empowers your touch in promoting unobstructed waves and functions. Seize the opportunity in mobile applications with the new Windows OS and leverage the elegant UI design for a futuristic experience. SynapseIndia brings you extensive experience in order to use Windows to the best of your advantage and generate maximum adoption of the technology. We are here to empower your objectives in delivering higher returns and reducing inventory costs. A great way to achieve the right design is by creating multiple versions of it. We often design different mockups that range from fun to subtle. Most viewers stay on sites that incorporate simple tricks — intriguing concepts, surprise visuals and nice contrast. We always create solid design mockups and now its time to calm things down and bring it all together. Proper alignment helps a site maintain hierarchy and consistency in design. We keep the widths of elements consistent and pay special attention to the empty spaces between elements. We plan and use contrast effectively that will ensure that you determine where the eye goes first. Establish contrasting elements in your design using color, text and varying weights. We determine your website color palette . We use the exact color mixes throughout the site. Across all elements on the site, we maintain a look and feel. Logos, headers and banners should not look dramatically different from page to page. To provide you with the benefits of the Tile based structures, we optimize your old apps, design and systems that were interrupting your performance earlier. The progressive solutions delivered are effortless to grasp and are systematized to gain universal acceptance. With an excellent reputation and an exceptionally strong track record in developing Applications for the Windows OS, we are here to design your need. HeroSolution's experienced designers are here to create intuitive and compelling experience through distinctively beautiful Windows Mobile Applications. Immediate access to our experienced IT support team will save you time and money, enabling your staff to get on with what they do best, while we take care of the rest. We can provide your own branded application which people download to their phone. This allows you to decide what text and images people see when they look through their mobile phone and how it appears. We can also provide all the tools to allow you to show further information and links and can update update all the information for you. The view can be branded with your logo, which can also be a live link to your website. You will have a password protected website created by us which will allow you to "geotagg" relevant locations and then decide what you want to say about those locations and what links you want to include with those locations. Our company is your one stop solution for all needs. we provides cost-effective consultancy to allow you to increase your efficiency through the most effective deployment of IT within your organization. We provide professional, independent and understandable advice that is focused on your business needs.We aim to add value to your business through the innovative use of technology. That means reducing your costs, minimizing your risk, and saving you time. Copyrights 2016 Herosolutions. All Rights Reserved.